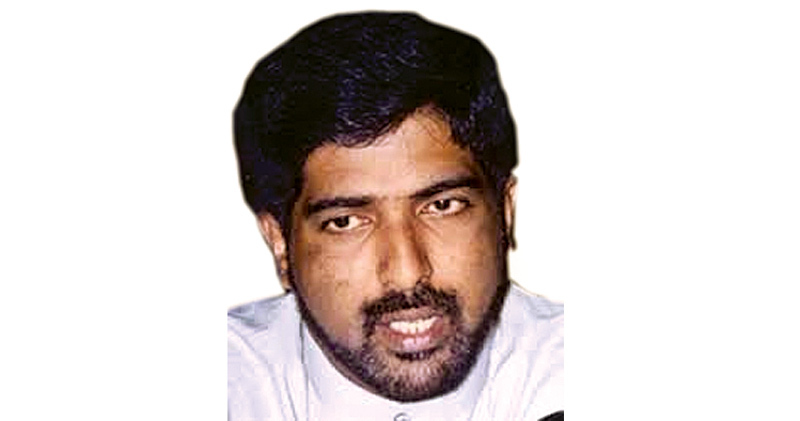 Five accused including three Navy intelligence officers who were accused over the murder of former TNA Jaffna district MP Nadaraja Raviraj were yesterday night acquitted and released after they were found not guilty by the Colombo High Court. The verdict delivered by High Court Judge Manilal Waidyatilleke yesterday night as per the unanimous decision reached by the jury, comes following one month long trial. The jury’s decision was that the accused cannot be convicted based solely on the fact that they were identified several witnesses in the case. The High Court allowed to proceed with the Raviraj murder trial in absentia of the three accused Palana Sami Suresh alias Sami, Sivakanthan Vivekanandan alias Charan, and Fabian Royston Tusen, who were evading Court since the initiation of investigations. The indictments were filed against six accused Palana Sami Suresh alias Sami, Prasad Chandana Kumara alias Sampath, Gamini Seneviratne, Pradeep Chaminda alias Vajira, Sivakanthan Vivekanandan alias Charan, and Fabian Royston Tusen on five counts, including committing the murder of former MP Nadaraja Raviraj and his security officer Lokuwella Murage Laksman under the provisions of the Prevention of Terrorism Act (PTA) and Penal Code. Three accused who were not present before Court, had been identified as ex-LTTE cadres affiliated to the Karuna faction. Wijeya Wickrema Manamperige Sanjaya Preethi Viraj was made State witness for the Raviraj murder trial. Raviraj was shot dead near his residence at Manning Town in Narahenpita during the period between November 9, 2006 and November 10, 2006 when he was driving his vehicle along Martha Road. The CID recovered the three wheeler and the weapon alleged to have been used in the killing of the former Parliamentarian. Senior Deputy Solicitor General Rohantha Abeysooriya with Senior State Counsel Suharshi Herath appeared for the Attorney General. Senior Counsel Anuja Premaratne with Rasika Balasuriya, Yuran Liyanage appeared for the accused, while Counsel K.V. Thavarasa appeared for the aggrieved party. Counsel Darshana Ranmuthuge appeared for the State Witness. Will the same decision be taken on the Murder of Lasantha Wickremetunge and Thajudeen? Check the Bank Accounts of all the Jurists. Raid their homes and you will find millions stashed away for a not guilty verdict. The scum has entered even the judiciary.